The U.K.’s plan to encourage public sector workers to purchase cheaper IT via the cloud is not happening quickly enough. That program, known as G-Cloud, centers on a procurement framework for approved cloud product and services firms and an online buying tool called the CloudStore. A team of internal governmental project monitors recently identified the program as “at risk of failure.” In what some observers see as a direct response to that critique, the head of the G-Cloud, Denise McDonagh, has been transferred to another job in central government IT. Meanwhile, the G-Cloud team has been folded into the Government Delivery Service (GDS), a team that’s working on bringing a digital flavor to all British government services. But moving G-Cloud into GDS might not be enough. An audit on the project’s progress noted that a primary challenge is the difficulty of achieving real culture in terms of approach to ICT (information and communications technology), as old ways of doing things are so deeply engrained among public sector IT buyers. 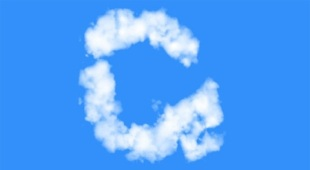 The scale of the challenges G-Cloud and the CloudStore buying portal face was made clearer this week, when non-profit British cloud firm Eduserv released data showing that 72% of civil servants aren’t confident about how to use the technology. And while 47% of 529 senior public servant respondents said they understand what the CloudStore can offer, they don’t seem to know what to do next. Meanwhile, 71% of respondents said they were unsure whether G-Cloud would create more work for them or less. The survey’s respondents were largely at senior civil service ranks, such as high executive or senior executive officers level, and worked in key areas like operation delivery (22%), IT (12%) or program and project management (10%).